We are a family-run business with an illustrious past stretching back to 1897. I believe the business has remained consistently true to the principles of its founding fathers by providing a professional and prompt service to our valued customers. From the day it was founded in 1897 by Messrs Bridger and Kay their objective was to serve the philatelic community as best they could. Although times have changed our objectives have not! As a tightly knit family business you can expect the best service and customer care from us. Basic family values of trust, respect and care are the core reasons we continue to trade so successfully for over a hundred years after our foundation. We would love to welcome you aboard as a valuable member of the wider Bridger & Kay community with our shared values of trust, respect and care. My team and I of dedicated professionals are ready to serve you in whatever way we can in helping to build your collection. Please ask - nothing is too small or too big for us. Bridger & Kay was established in 1897 by Mr Ernest James Bridger and Mr Alexander Berridge Kay who ran the business from 65 Bishopsgate in London. It moved to 71 Fleet Street in 1907 then to 170 Strand in 1922 after purchasing the premises from the dealer Hugo Griebert. In 1938 it moved premises again to 86 Strand. 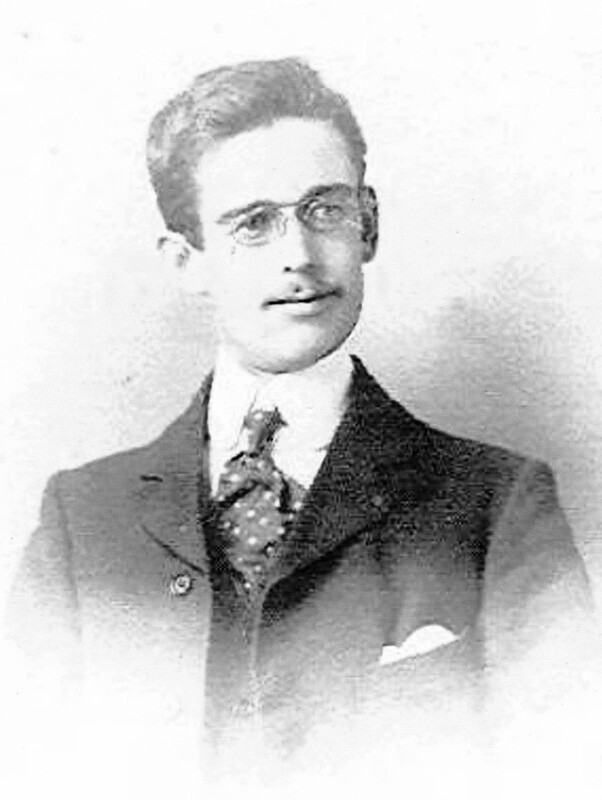 Mr E. J. Bridger retired during the 1914-18 War from being actively involved with the company but remained on as a director and the business was carried on by A.B. Kay who was a member of the BPA Expert Committee and Secretary of the Fiscal Philatelic Society from 1902 to 1920. His collection of British Colonial revenue stamps was given to the nation in 1940 and is now one of the Philatelic Collections held at The British Library in London. After the death in 1944 of A.B. Kay the company was owned and run by Mr. Leverton and his son Allan. Bridger & Kay held their first public auction in 1969 under the banner of Temple Bar Auctions and continued to hold two sales every year over the next twenty years which included the fabulous Commonwealth collection of R.E. Darnton held in 1980 & 1981 and the superb George Ulrich collection of Bermuda in 1989. The company published many books over the years including its own Five Reigns Commonwealth catalogue and The Commonwealth Catalogue specialising in the stamps from the reign of King George VI. The company made its final move in London from the Strand to 24 Pall Mall in 1977. In its centenary year in 1997 the company was bought by stamp dealer Steve Ellis and moved to Bristol in the South West of England. Steve has been a full time stamp dealer since 1980 and started collecting stamps as a school boy in 1959. His present interests include collecting Philatelic Literature, walking and keeping fit. Steve was formerly a PE teacher who played volleyball for England from 1970-73 and is widowed with four children and four grandchildren. The company was one of only three stamp dealers to hold The Royal Warrant as suppliers to The Royal Philatelic Collection. 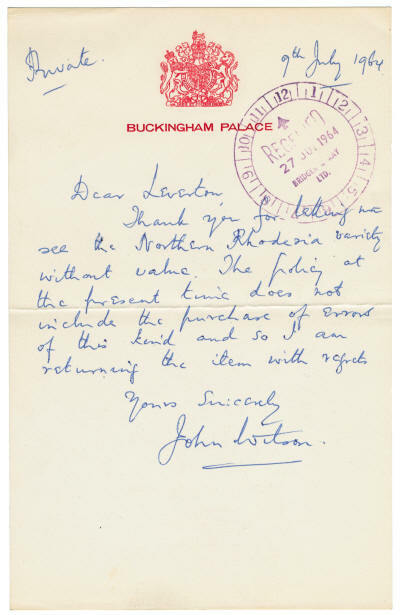 Left: Letter from Buckingham Palace to Mr. Leverton regarding a Northern Rhodesian stamp variety that had been sent to Sir John Wilson on approval for the Royal Collection. Sir John Wilson was “Keeper“ of the Royal Philatelic Collection from 1938-1969. Thank you for letting me see the Northern Rhodesia variety without value. The policy at the present time does not include the purchase of errors of this kind and so I am returning the item with regret. Above: A copy from Bridger & Kay's original accounts showing the entry for the sale of the mint Penny Red Plate 77 to Sir Edward Denny Bacon (Keeper of the Royal Collection) on 8th August 1918. To date only four mint and five used examples have been reported, although some have not been seen for so long their authenticity is unconfirmed and often doubted. 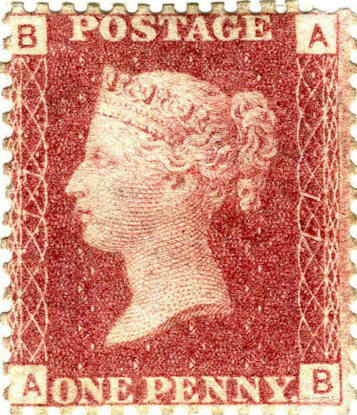 Of the mint examples, there is one in the Royal Philatelic collection, one in the Tapling collection in the British Library, one in the Raphael collection that was stolen in 1965 and has not been seen since, and the fourth was in the Ferrary collection sold in the 1920's. Flaws in plate number 77 meant the stamp's perforations were lined up incorrectly, so all of the test sheets were destroyed. At least one sheet was released into circulation by mistake. In today's market a mint copy would be worth one million pounds plus! Above: Penny Red PLATE 77 Lettered "AB" sold by Bridger & Kay to King George V in 1918. It was bought from Bridger & Kay on 8th August 1918 for a price of £499 and 9 Shillings. 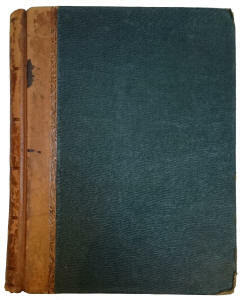 This copy shows the Large Crown watermark very slightly high of centre and slightly left of centre when viewed from the back. The top perforations are scissor-cut in a sloping fashion. Left: Original Bridger & Kay Account Book containing the entry for the sale of the Penny Red Plate 77. Above: Front and back of a Prisoner Of War Letter containing its original contents (shown right) dated 22nd March 1917 from Prisoner 5194 “E. 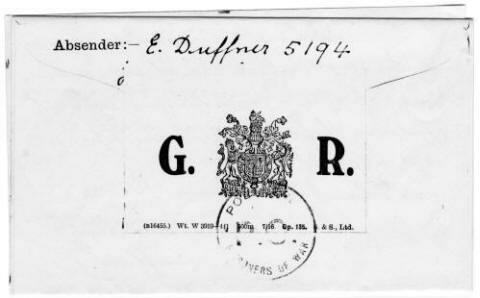 Duffner” and addressed to Bridger & Kay, 71 Fleet Street, London E.C. 4.from P.O.W. to Bridger & Kay, 71 Fleet Street, London. Will you kindly send me a copy of your Price list of British & Colonial Stamps, also B. & K.s Items (a supplement to the price list). At the same time I wish to know if Indian Court Fee stamps from 1 to 1000 Rupees are of any value and if of any use to you as well as some Indian Specimen stamps 1870 – 80. 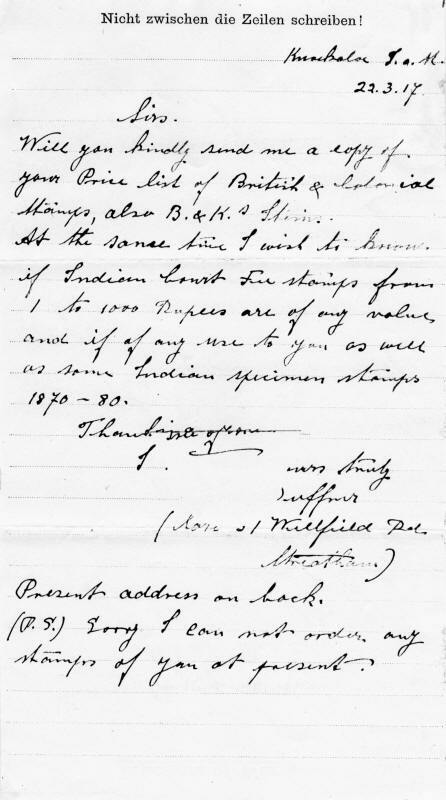 Above: Original letter in English to Bridger & Kay requesting Bridger & Kay’s Price List. Knockaloe Internment Camp was opened in late 1914 (closed in 1919) and was based on the Isle of Man. It was a Civilian Camp consisting of 23 compounds on a 22 acre site and was located not too far from Peel. By the end of the war the camp was capable of holding up to 20,000 prisoners at any one time. 15th September 1909 - Australia (Victoria) to Fleet Street, London. 16th November 1946 - "FIELD POST OFFICE 815" to 86 Strand, London. 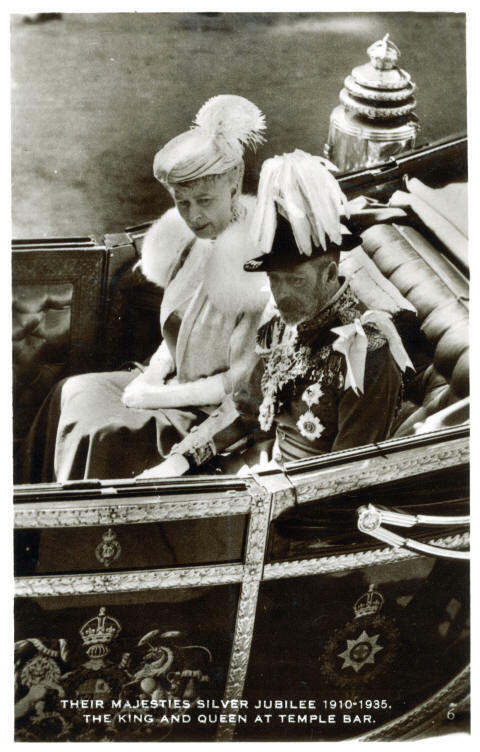 22nd May 1953 - Castries, St. Lucia to 86 Strand, London. 24th October 1959 - Nairobi, Kenya to 86 Strand, London. 8th April 1965 - Nuku'alofa, Tonga to 86 Strand, London. 7th August 1957 - O.H.M.S. London (Post Office) Divisional Controller's Office Stationery Card sent locally to 86 Strand, London. 22nd March 1960 - Registered letter sent from Kuwait to 86 Strand, London. 22nd April 1970 - Kuwait Post Office Department to 86 Strand, London. 30th April 1957 - Morocco Agencies Tangier to 86 Strand, London. 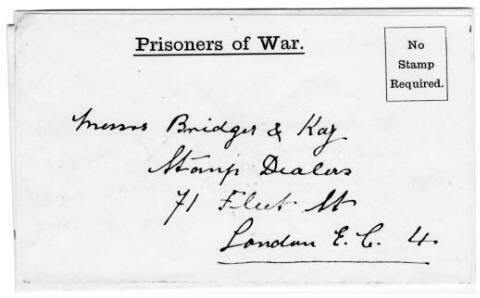 13th November 1916 - Bridger & Kay Postcard to a customer in Drogheda, Ireland. 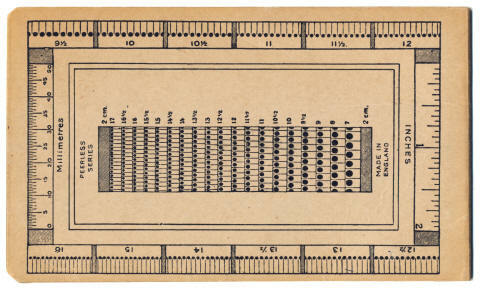 Bridger & Kay “The Facile” Perforation Gauge. Stock Card Booklet (inside) with Perforation Gauge on back cover and Bridger & Kay advert on front. 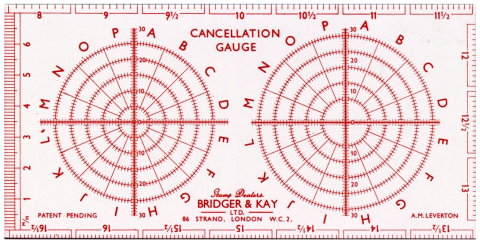 Bridger & Kay Cancellation Gauge. Small Stamp Stock Card - Bridger & Kay, 86 Strand, London. Small Stamp Stock Card - Bridger & Kay, 24 Pall Mall, London. Below is the first issue of "B. 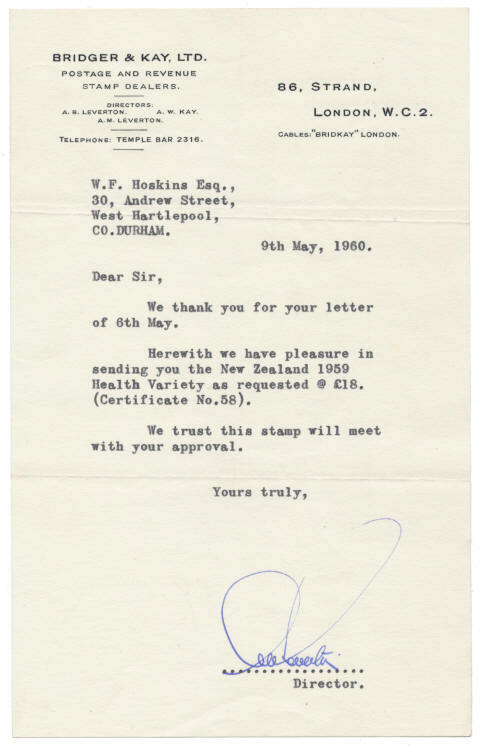 & K. Items", a circular which was issued free as a supplement to the company's Price List of British Colonial Stamps. Of note in this issue is a section on Page 3 of "Rare and Interesting Stamps" regarding high value stamps from British Central Africa (Nyasaland). At the time of publication of this circular Bridger & Kay had for sale mint copies of the RARE 1896 Watermark CC £10 and £25 values. The £10 (Gibbons # 41) was listed for sale in this circular at £21 (Now catalogued in 2016 at £11,000) and the £25 (Gibbons # 42) at £60 (Now catalogued in 2016 at £26,000)!! Oswald Marsh was a stamp dealer from around 1900 until his death in 1951 specialising in new issues from the British Empire and control blocks from Great Britain. 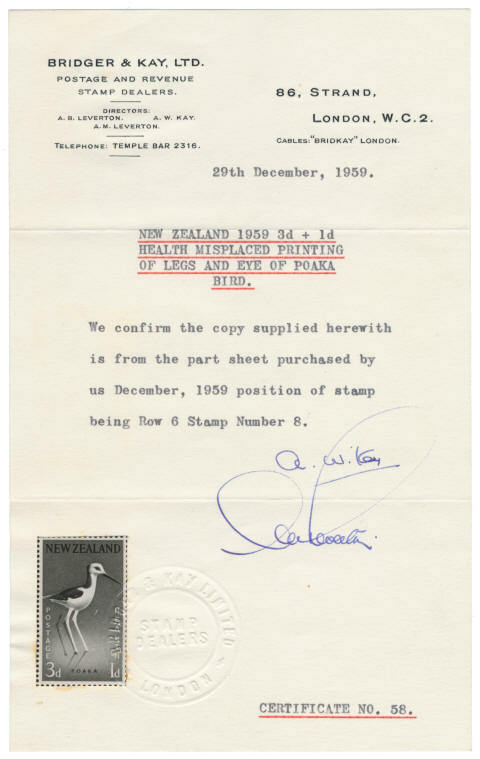 He also purchased the firm of Errington & Martin who manufactured stamp albums and binders as well as supplying stamp packets to dealers and shops like Woolworths. 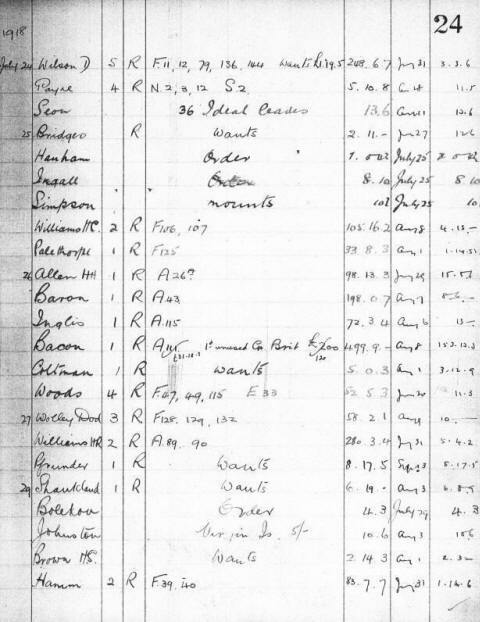 29th November 1919 - Paid to Mr. A. B. Kay for the amount of £185-0-0. 11th March 1933 - Paid to Bridger & Kay for the amount of £4-7-6. Above: A drawing of Temple Bar in 1870. Its name derives from the Temple Church, adjoining to the south, which has given its name to a wider area south of Fleet Street, the Temple, once belonging to the Knights Templar but now home to two of the legal profession's Inns of Court. In the Middle Ages the authority of the City of London Corporation reached beyond the City's ancient defensive walls in several places, known as the Liberties of London. To regulate trade into the City, barriers were erected on the major entrance routes wherever the true boundary was a substantial distance from the nearest ancient gatehouse in the walls. Temple Bar was the most used of these, since traffic between the City of London (England's prime commercial centre) and the Palace of Westminster (the political centre) passed through it. 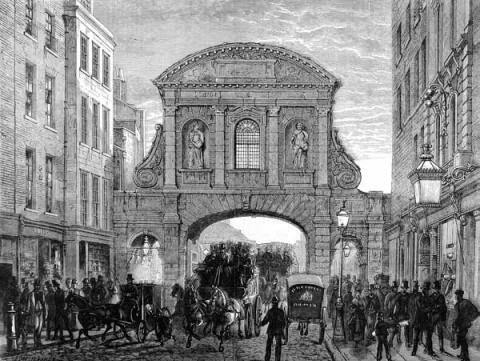 It was originally located where Fleet Street now meets The Strand, which was actually outside the London boundary wall. Temple Bar was the principal ceremonial entrance to the City of London on its western side from the City of Westminster. It is situated on the historic royal ceremonial route from the Tower of London to the Palace of Westminster, the two chief residences of the mediaeval English monarchs, and from the Palace of Westminster to St Paul's Cathedral.